The institution of the hotel has been in existence as far back as biblical times when travelers and tourists frequented road-side accommodation known as an “Inn.” As soon as there were roadways enabling travel, shelter for hire popped up to bed and feed travelers as well as their transportation; which in the beginning also required feeding. The Romans two millennia ago likely inspired today’s Hotels with their establishment of the Roman Roads, the first organized infrastructure project used to expand and establish the Roman state throughout its expanding territories. In Operation for about half that time, Nishiyama Onsen Keikunkan in Japan is credited as the worlds oldest hotel. Fifty-two generations of the same family run it. 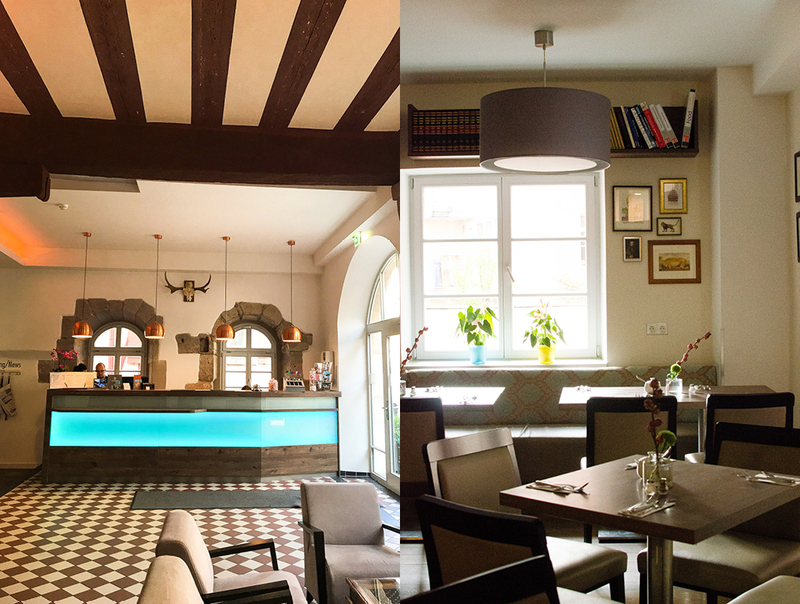 Much younger, and closer to those original Roman roads is the small family-run Hotel Elch in Nuremberg, Germany. 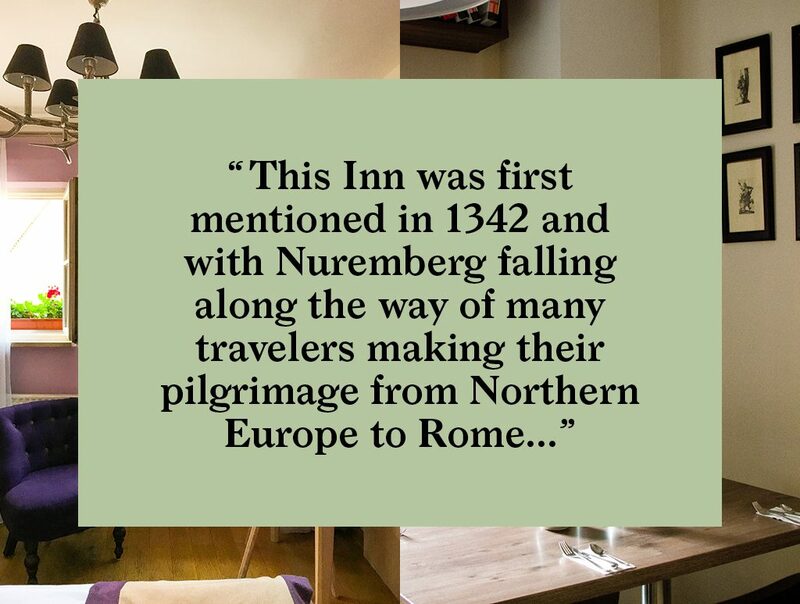 First mentioned in 1342, this Nuremberg Inn fell along the way of many travelers making their pilgrimage from Northern Europe to Rome. The early Innkeepers would surely have taken care of travelers headed for and arriving from those original Roman roads. Located in the historic castle district between Weinmarkt and Neutor, Hotel Elch is just a few steps from the medieval St. Sebald church and a short walk from Tiergärtnertor, the city gate and tower built in the 1200s and a prominent entry point to the Medieval city for visitors. 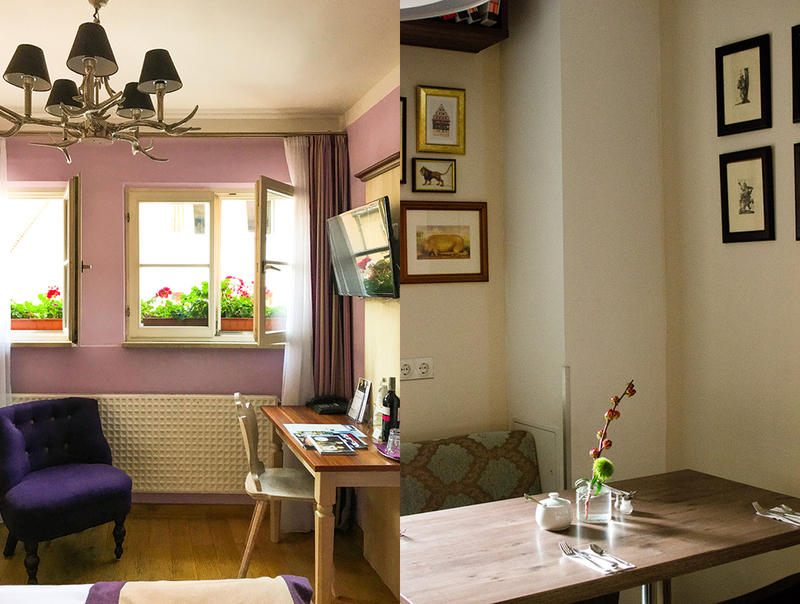 As convenient a location as it was for the first visitors to this inn, so it is today a great stepping off point for sightseeing and exploration in and around Nuremberg. 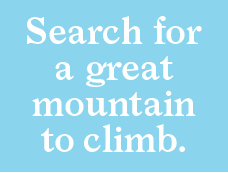 And it’s easy walking distance to several tram and bus stops for exploring further afield. The historic character of the half-timbered building has been well preserved while adapting to 21-century standards of comfort. The 16 rooms are light and airy, offer free wifi, and on the ground floor, an ample breakfast buffet is served. 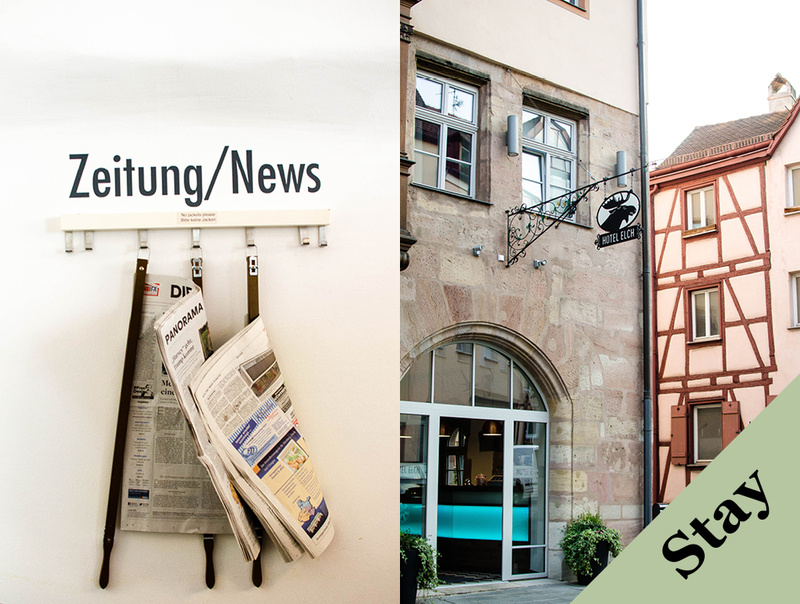 A fun place to continue the cities long history of tourism and experience all that modern Nuremberg has to offer. 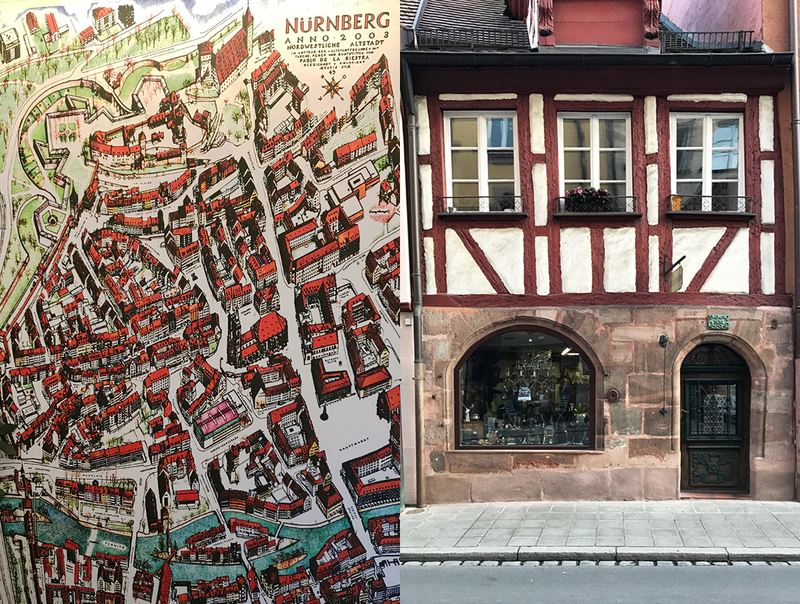 Planning a visit to Nuremburg? Here is the current weather and what to expect for the next few days.